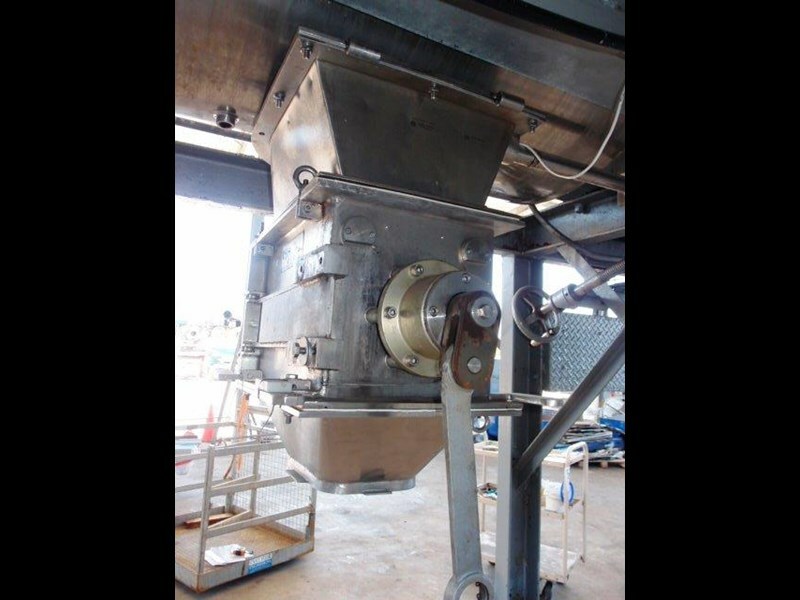 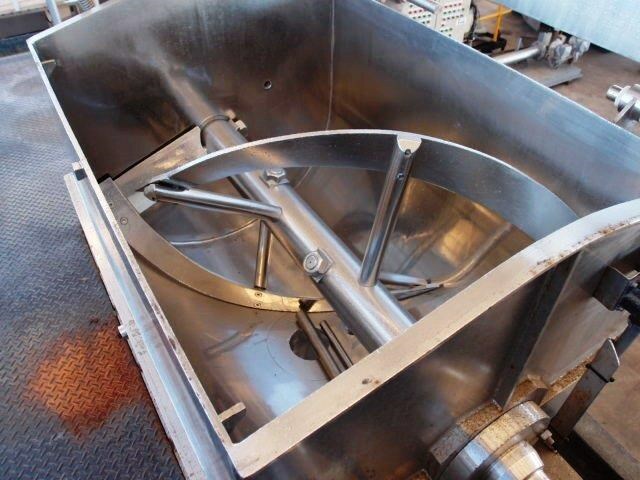 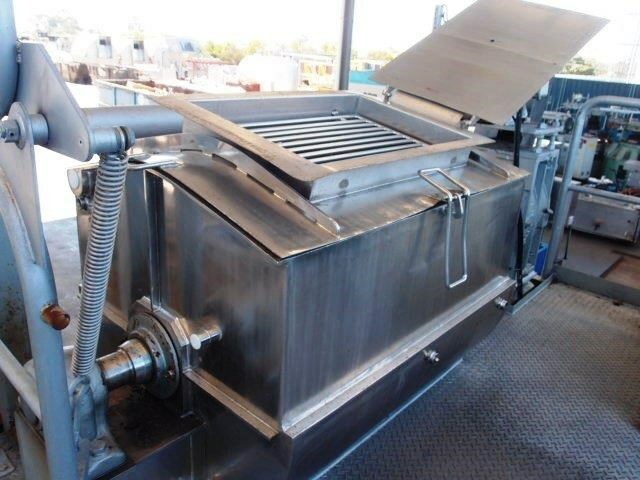 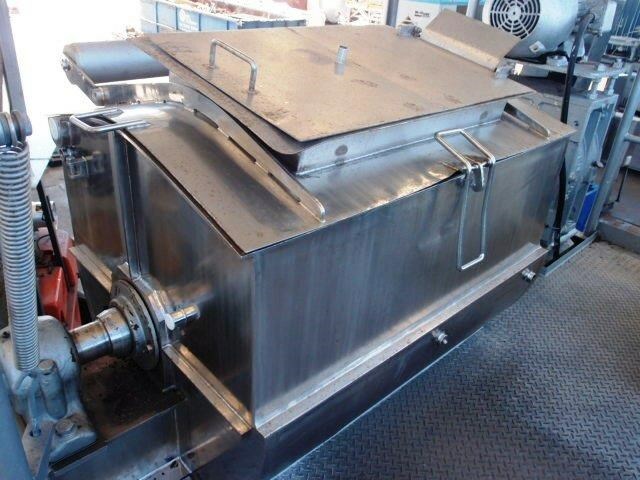 Unit is a stainless steel heavy duty jacketed single ribbon blender with counterweight lid. 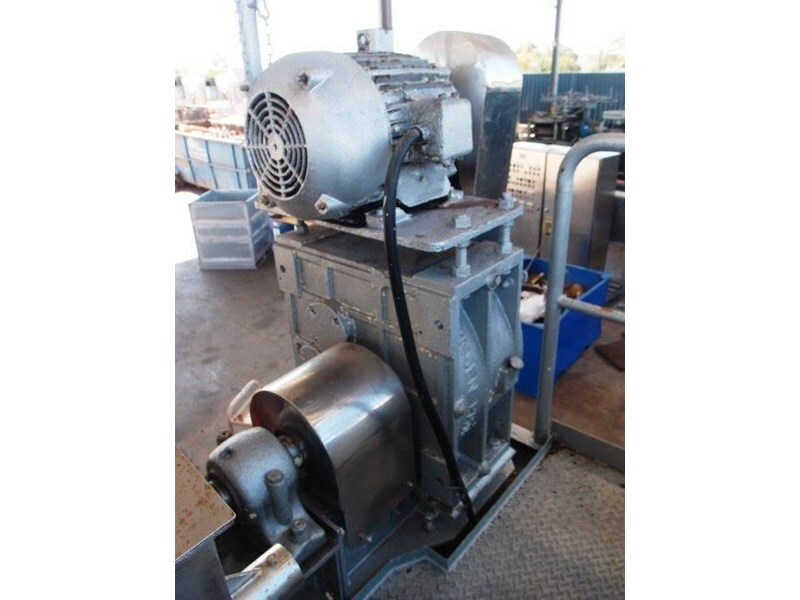 Mixer is driven by an approx 30HP, 415V electric motor, belt driving reduction gearbox. 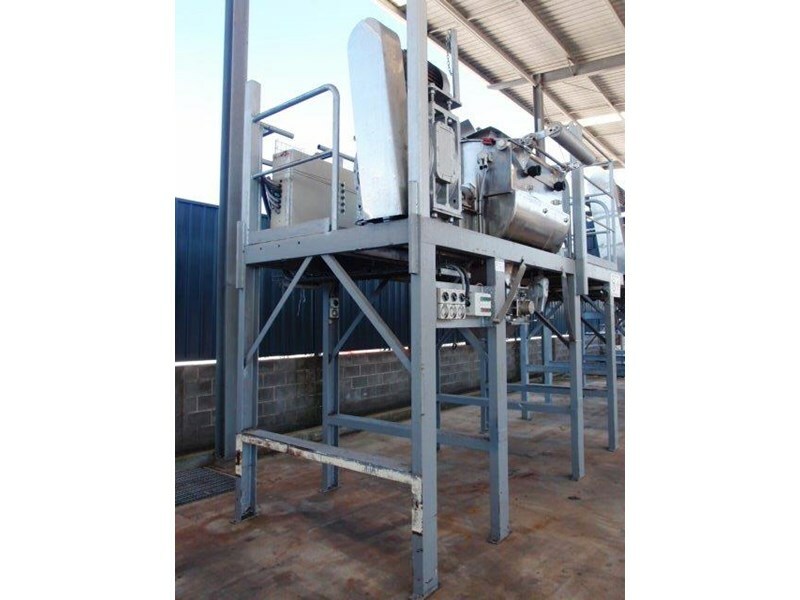 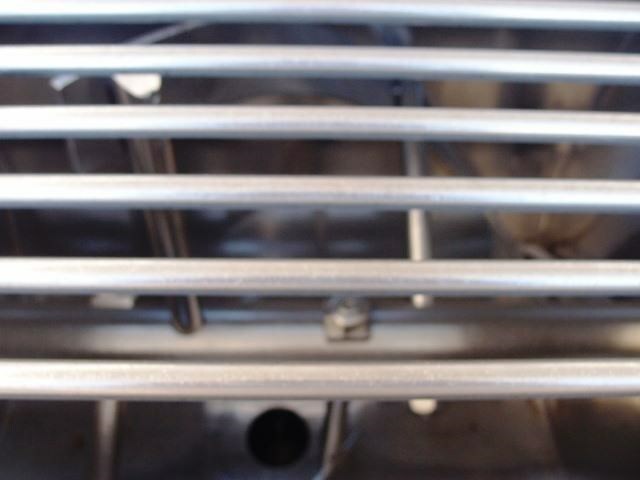 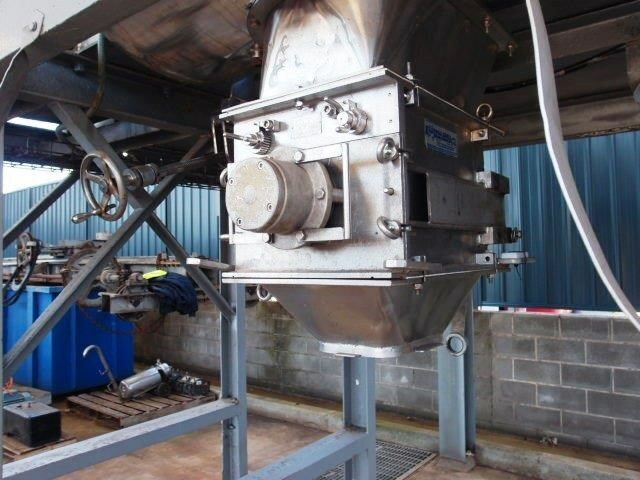 Blender has 6" dia centre plug valve discharge which is fitted with Frewitt, Model # M8-633 stainless steel granulator (requires motor). 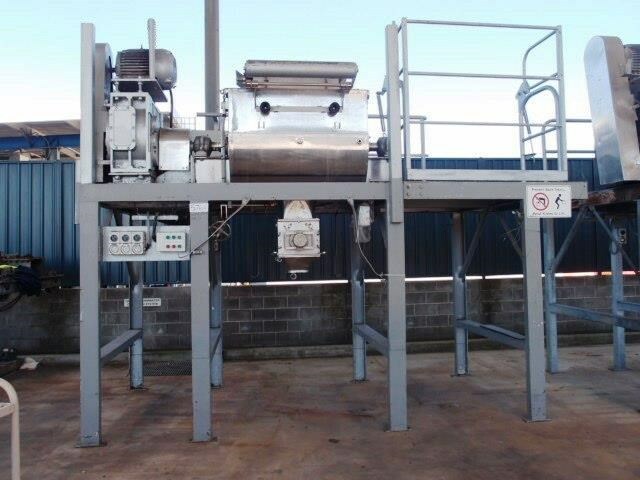 Blender is set up on a steel platform with pallet rollover cage. 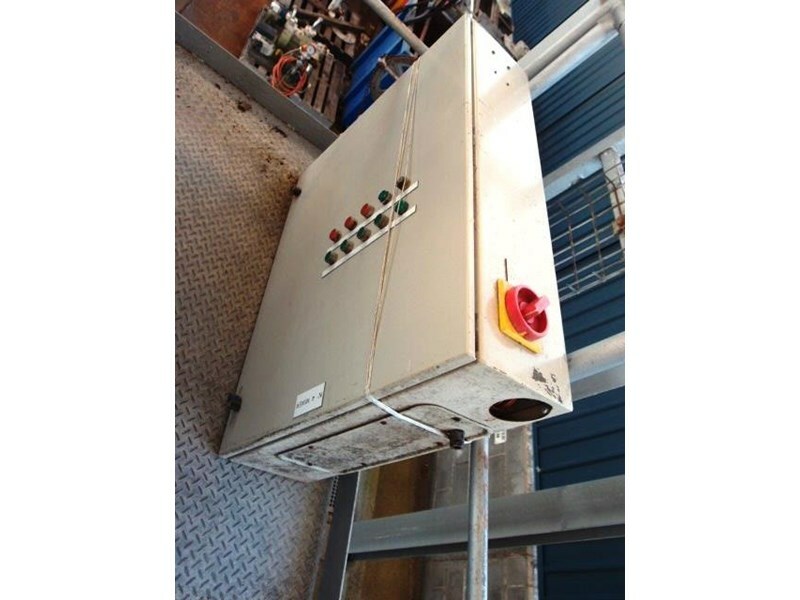 Unit requires a drive motor to be replaced as it has a broken mounting.